Henry, who was a shepherd, had at least one brother and four sisters. Although the family were still living at Dewlish in 1861, by 1871 they had moved to Warmwell, Dorset and by 1881 they were living in East Stoke, Dorset. Henry married Eliza Ann Vye (1860-?) at Tyneham on 25 April 1883. Eliza already had a daughter Rosa Louisa Vye (1880-1961) who was born at Egliston in Tyneham parish. By 1885 the family were living at Kingston, in one of the cottages that looks out on the panoramic view of the Purbeck Hills and Corfe Castle. In 1885 Henry made a little bit of history when he was the first shepherd in the area to transport a flock of sheep on the newly opened railway. The following year their first son, Henry Charles Sansom (1886-1966) was born at Kingston. For reasons we do not know, the family left Kingston for several years with Henry working as a shepherd at Bere Down. In 1891, Henry, Eliza and the two children were living at Lytchett Minster (Dorset). By that time, Henry’s father Charles was a widower and was ‘lodging’ with them. A year later their second son, Alfred Sansom (1892-1968?) was born at West Lulworth. The Sansom family later returned to Kingston. Henry and Eliza had a further four children together with two dying soon after birth: Edith Mary (1894-1977), Ernest (1898-1898), Alice May (1899-1977) and Bessie (1902-1902). Henry was born at Kingston but by 1891 was living at Lytchett Minster (Dorset) and recorded as ‘Harry’. Henry married Sarah Hannah Bartlett (1883-1937) , known as Hannah, who was born in Wareham, Dorset. 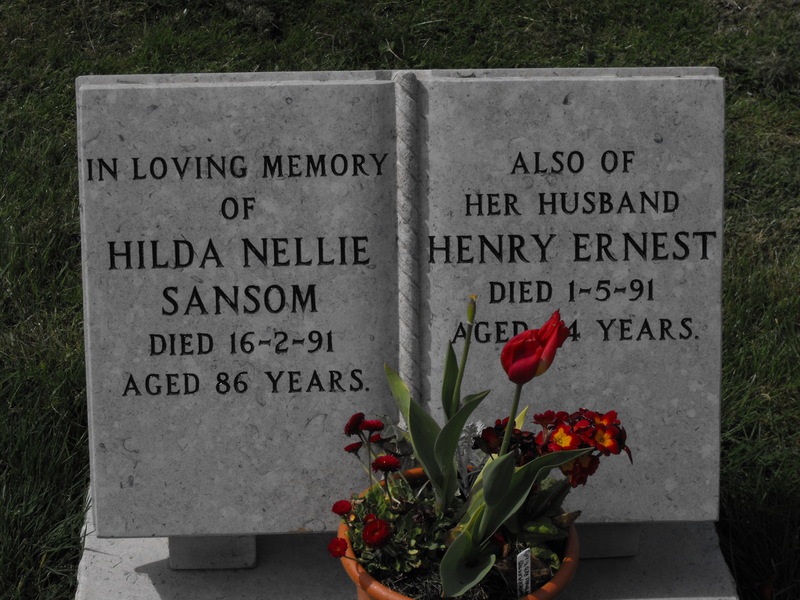 Henry and Hannah’s first son Henry Ernest Sansom (1906-1991) was born in Upper Parkstone, near Poole. By 1911, the Sansom family were once again living in Kingston. Caroline Bartlett, Hannah’s step-mother, was living with them. Later that year, Henry and Hannah had their second son Frederick George Sansom (1911-1994). Frederick married Cynthia and they had two sons. Henry was shown as a ‘traction engine steerman’ in 1911. 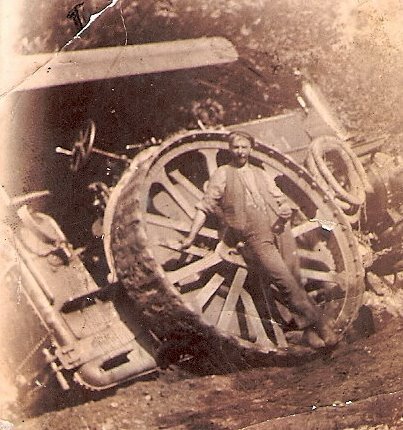 He is pictured a year earlier with a traction engine leaning at quite an angle after the earth beneath it had apparently given way. 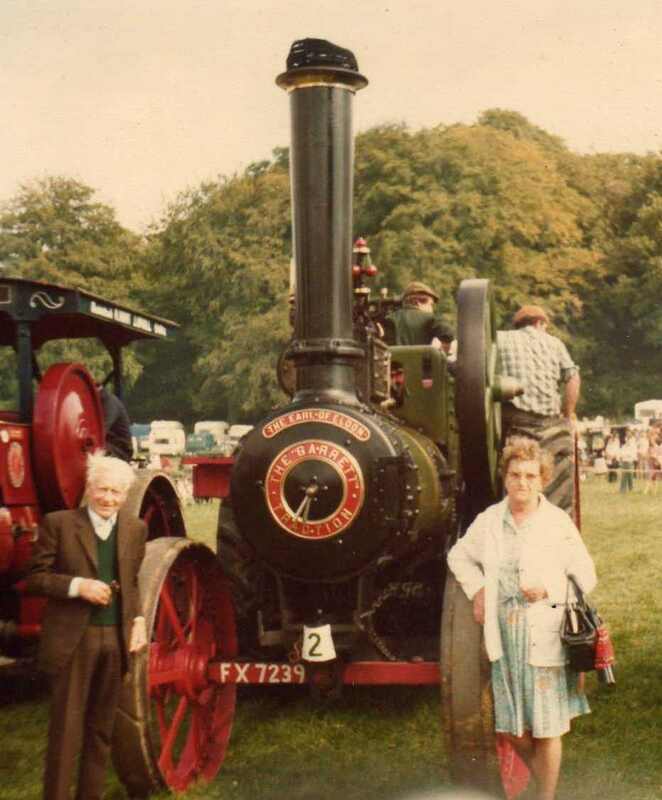 Henry’s great-grandaughter Claire Hawker tells us: “In 1915 the Encombe Estate bought a new steam traction engine, and Henry Sansom Jnr and another man were to drive it. This engine was one of the first of its kind in the area – it was built by Richard Garrett’s of Leiston and we think when new it cost about £800. It was used for threshing and hauling timber and especially for driving the huge saw in the Estate Yard at Kingston. It was called the ‘Earl of Eldon’, after the owner of the Encombe Estate at that time, and to our great pleasure it was rescued from a scrap yard in 1947 and loving restored by its new owner to good working order. Henry Sansom Jnr would recollect using it at Christmas time to collect coal from Corfe Castle Railway Station and the coal was then distributed among the tenants and workers on the Estate”. Claire continues: “The church at Kingston played a significant part in the lives of our family during the 20th century. Here they came for marriages and christenings. It was dedicated to St James and consecrated in 1880 but for the first 30 years was for the private use of Lord Eldon. Henry Sansom Jnr was christened there when Henry Sansom Snr lived at Kingston – as a special privilege . Henry Sansom Jnr later became a bell ringer at the church and helped with the removal of the bells in the 1920’s when they were taken on the steam engine truck to Corfe Station and from there to Loughborough to be re-cast”. Henry and Ern had two more children, William Alfred ‘Winkle’ Sansom (1913-1997) who is pictured above, and Irene Mary Sansom (1919-1973). Winkle married Alice Pamela Lemon (1912-1992) and they had one daughter and Irene married Arthur George Lardner (1911-1976) and they had two sons. Hannah died in June 1939 aged 56 and is buried at Kingston New Church. Henry continued living in The Lane at Kingston until his death in 1966 aged 80. He is also buried at Kingston New Church just close to his wife. Ern was born on 11 June 1906 at Upper Parkstone near Poole. The family moved to Kingston and Ern started at Kingston School on 24 April 1911. 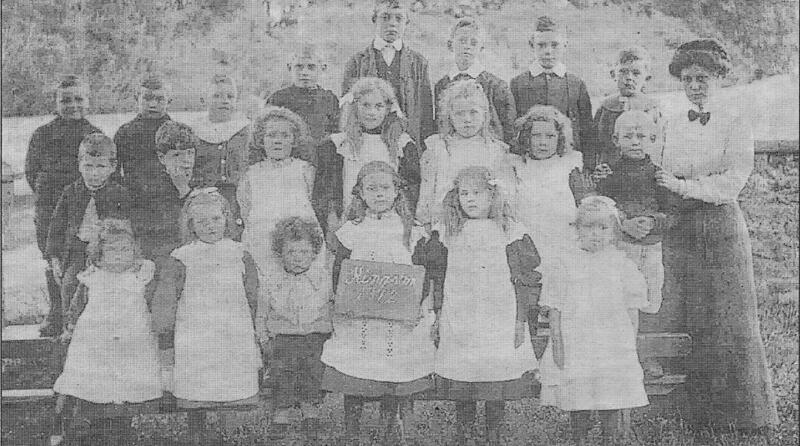 The following year he was photographed with the other children there. 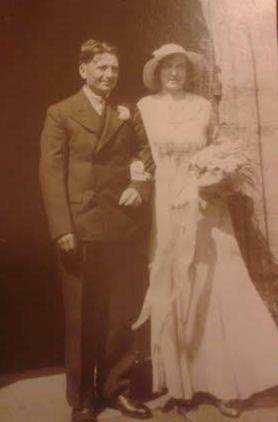 Ern married Hilda Nellie Heath (1905-1991) at Holwell on 30 June 1934. 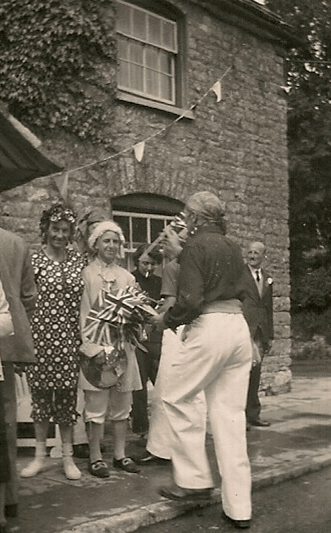 Hilda was born at Sherborne (Dorset) on 23 January 1905. Ern and Hilda had one son, Colin Henry Sansom (1937-2012), born at The Lane, Kingston in 1937. Ern served in Burma during World War 2 and he is pictured below in uniform with mini portrait photos of his son and wife superimposed. At various stages during the war, 870,000 children and their teachers were evacuated from the cities to more rural areas including Kingston. 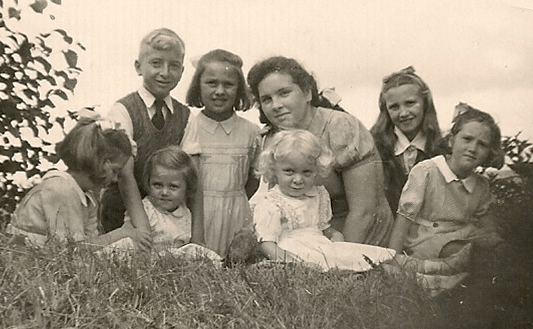 The Sansom family hosted one such evacuee called Norton. 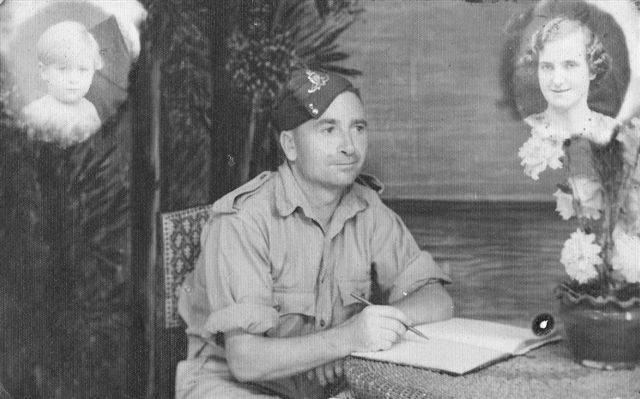 Norton’s father visited his son at Kingston in the Spring of 1943 and then wrote to Ern in Burma. The letter is reproduced below. I can imagine the look of surprise on your face when you open this letter and wonder who the H—- has written, so I had better introduce myself before I go further, I am Norton’s father. I have just come back from a weekend at Kingston and I feel that I must write and let you know how much we appreciate what your wife is doing for Norton. They are all well and in the very best of health including your father (Henry Sansom Jnr) and Winkle. By the way I had a try at drinking the Scott Arms dry but they still had some wallop left when I came away but I regret to say that it is now a shilling a pint (what a price for food) although I believe it is much dearer where you are, and I suppose much more appreciated. Winkle and I took on all comers at darts on Friday night and beat them until about 9.45pm when we got knocked off the board. The whole crowd of us went to Wareham on Saturday (including Colin) and we went to that super cinema of yours, the only seats available were at 8d so we got in at bargain price, six for four bob, but a good time was had by all. The film was one of Will Hay’s and Colin told me afterwards that it was different from the way he carried on at school, I expect it was. Norton and John are in the choir at Church and believe me they look as though butter wouldn’t melt in their mouths when are dressed up in surplices and cassocks. The church bells were rung on Sunday and I wandered into the belfry to watch the ringers at work, of which your Dad (Henry Sansom Jnr) was one, but I believe the effort gave him a thirst as we walked down to Corfe afterwards and didn’t do too badly. Mr Swan at the Scott Arms has a notice prohibiting singing in the bar but I believe Arthur had some singing beer as he gave us some delightful renderings during the course of the evening on Easter Monday and he finished with “Abide with me” very touching? I am looking forward to seeing you after the war so that we may join in the celebrations. We fully intend to spend holiday in Kingston. You would hardly know Colin now as he is quite grown up, he had me building winches, etc, with his “Trix” set, I am not sure whether I finished one or not. By the way when I went down my wife, who had gone down to Kingston the day before came to Wareham to meet me and at Corfe she had the three boys and when asking for tickets she pointed to Colin and said “Have I to pay for him, he’s only 4” but Colin pushed himself forward and said “I’se five Auntie” and he was quite indignant about it with the result that he had to be paid for – we tried to teach him afterwards that he was four when he had to get on a bus or train and five any other time but he wouldn’t have it at any price. Winkle and his wife came down to your place on Sunday after tea, we taught your wife and those two how to play Newmarket with the result that they skinned us so they hadn’t much to learn but did enjoy it. Mrs Sansom developed quite a technique of playing the last card and scooping the”kitty” all in one movement. Well I am afraid I cannot think of anymore to say at present so must close, my wife joins in with me in wishing you a safe and speedy return. Note from Claire Hawker: I can’t make out the signature on the end of the letter but Norton still keeps in touch. 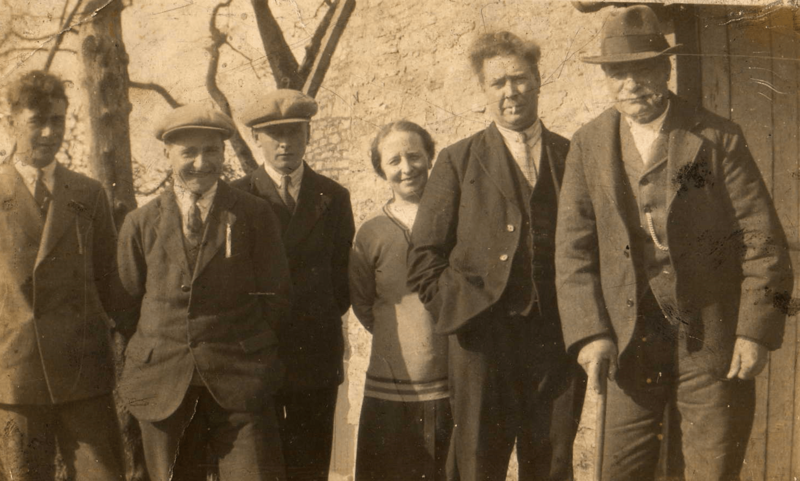 The Colin referred to is my Dad – Colin Henry Sansom. 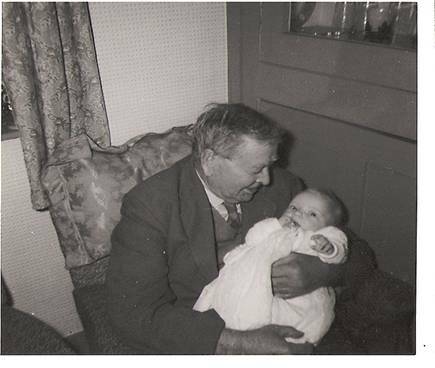 Winkle is my Great Uncle Winkle – he was always called that – his real name was William Alfred Sansom and he lived in the house on the corner opposite the Scott Arms. I never knew until my Grandad’s funeral that his first name was Henry as he was always called “Ern”. 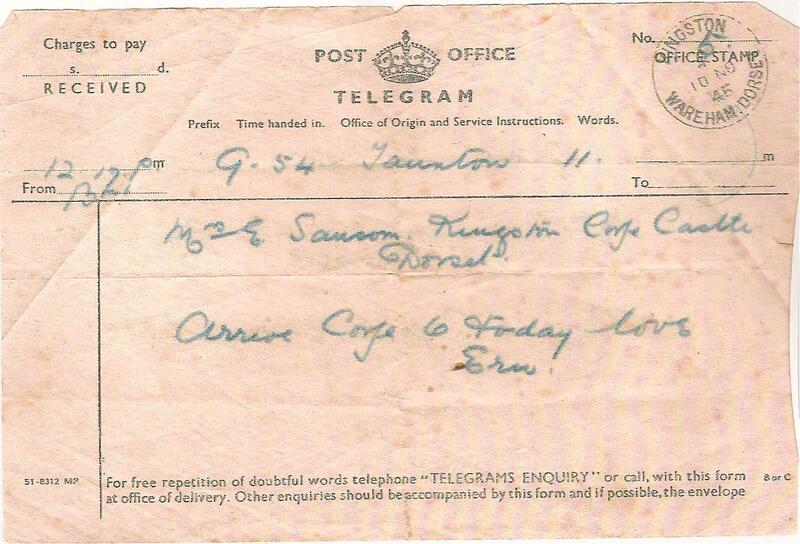 Pictured below is the telegram sent by Ern to Hilda when he was finally returning home after serving in World War 2. Hilda died at the Elmwood Grove retirement home in Swanage (Dorset) on 16 February 1991 and is buried at Kingston New Church. Ern died a few months later at Poole Hospital on 1 May 1991 and is buried with Hilda. Colin was born on 4 November 1937 at The Lane, Kingston and attended Kingston School. One day in the summer holidays I went to Corfe. The weather was boiling hot. Mummy told me to get the remainder of the sweet ration which was three quarters of a pound. I went by the 2.15 pm bus. When I got out at the square at Corfe it was only a few yards to Mr Hollands where I had to get the sweets. Mr Holland served me himself. I choose liquorish, clear gums and chocolate. I paid for the sweets and Mr Holland took my sweet coupons. When I was half way across the square Mr Holland called me back I had left the ration book behind. I thanked Mr Holland and caught the next bus home. Last Wednesday the dentist Mr Bradley paid us a visit. He brought a nurse with him. On the first day of the dentists visit my cousin who is three had to have his teeth done but wouldn’t have them done. I thought he was naughty. Most of the children in the School and their teeth done so did I but not until the next day. In the afternoon of Thursday the dentist called me sat me in a chair he numbed my gum and took a double tooth out. The haymaking season is here again so where ever you go is the smell of the hay. Most of the farmers have started rather later than usual. Mr Palmer who started earlier than most farmers has made two or three ricks. I haven’t been to watch the hay making but I expect I soon will. Generally I go to the fields after school. Mummy packs me some thing to eat and a flask of tea or a bottle of lemonade so I can watch the men work overtime. Sometimes I go to watch the men after tea. Last Friday morning we had our Scripture Exam. The man who was to take it arrived at 9.00 am the vicar arrived soon after. First of all he took the smaller ones then he took us he took catechism but not for very long. Then we showed him our scripture books. The inspector thought they were all nice. When the inspector had finished we had our lunch. The we tidied up and went home. Before I had my dinner I took my dog for a walk. My cousin Janet came with me so did another girl whose name is Julie Dennis. When I got home I listened to the Test Match. After dinner Mummy went to Wareham while I listened to the Test Match again. After tea I played cricket with Daddy my Uncle, my cousin and friend. We had lots of fun. 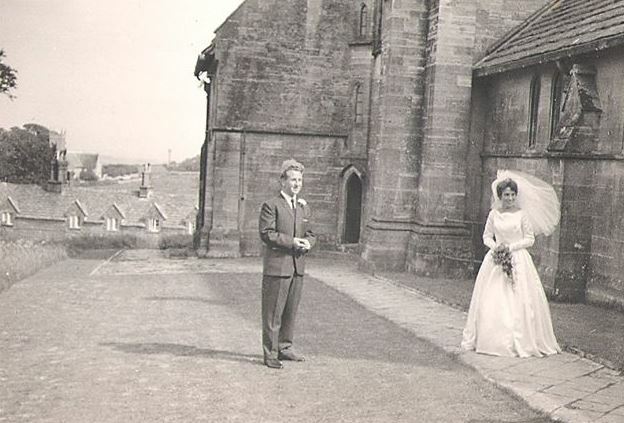 Colin married Elaine Fowler on 1 September 1962. Members of St James’ Church, Kingston, Miss Elaine Fowler, daughter of Mr and Mrs C Fowler of Enfield Crescent, Oakdale and Mr Colin Henry Sansom son of Mr and Mrs E Sansom of The Lane, Kingston, Dorset, were married at the church. They are also associated with the Swanage Cricket Club. The bride made all the dresses. Given away by her father the bride wore a full length bridal gown of Swiss white satin and carried a bouquet of apricot roses. Three bridesmaids attended her, Margaret Hawkins, bride’s cousin, wearing a blue duchess satin dress with head-dress to match; Rosemary Heath and Jeanette Heath, bridegroom’s nieces wearing lemon floral nylon over taffeta dresses with matching head-dresses and carrying floral baskets. Miss Hawkins carried lemon carnations. The service was conducted by the Rev James Lloyd and Mr Pond was at the organ. Mr Michael Garos of Perranporth, Cornwall, was the best man. One hundred guests attended a reception at the Church Hall, Kingston and the couple then left for their honeymoon at St Queens Bay, Jersey. The bride travelled in a lemon Courtelle outfit. Colin and Elaine had two daughters, Karen born 1963 and Claire born 1967. The families now live in Somerset. Colin was born on 4th November 1937 in Kingston, Dorset overlooking Corfe Castle. Colin was to have been called Henry after his father and grandfather but when asked “what the child was to be named” at his christening the Vicar didn’t quite grasp the Dorset accent and mistook “call ‘im Henry” for “Colin Henry” so Colin it was! Colin’s father Henry worked on the neighbouring Encombe Estate until WWII broke out when he served in Burma. 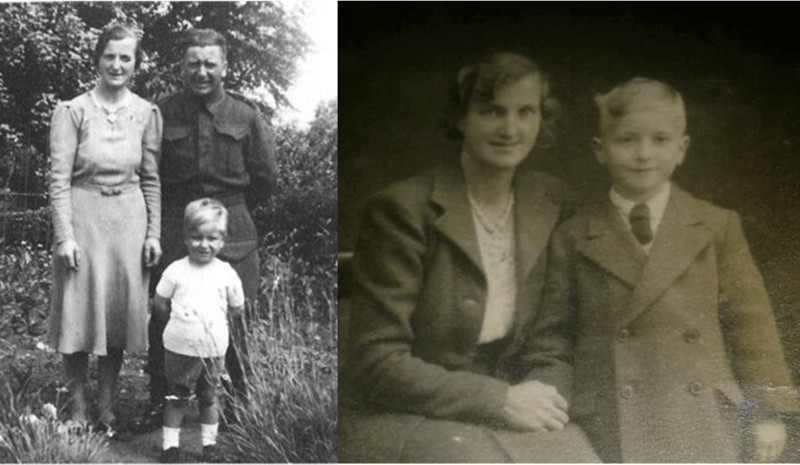 During this period Colin’s Mum, Hilda, took in two evacuees one of whom, Norton, is still in touch with the family today. Colin had a happy childhood and attended Kingston School which had the grand total of 10 pupils!! Colin was also a choirboy at Kingston Church. 1948 Colin wrote “My Grandad is a very nice man. When Daddy was away in the war he did all the growing in the vegetable garden of course me and Mummy helped”. In Autumn 1948 Colin proudly notes that he has stored half a hundred weight of potatoes to last over the winter and that he is looking forward to the Harvest Festival. Again Christmas 1948 Colin is very excited to have received a cannon in a very large box, flash light, pack of cards and some nuts and an orange. Typical of children Colin opened these things at 4.30 am and was sent back to bed by his parents! Colin’s love of gardening and the outdoors continued for as long as he was able and he could often been seen wheeling his wheelbarrow to his much loved allotment. Colin continued to Swanage Grammar School where he was academically able and excelled at sport. Colin loved sport and was a keen cricketer, footballer and tennis player. Not only did he play these things he loved to watch them. Colin supported Bournemouth FC and has received much stick from certain areas of the family for this. After leaving school Colin moved to ICI Paints in Slough where he studied biology, chemistry and physics, obtaining ONC’s and a HNC is chemistry. Colin then moved to British Drug Houses in Poole to be nearer to his family. It was here that he met Elaine. Colin married Elaine in September 1962 and they have just celebrated their golden wedding anniversary. Colin and Elaine moved to Nailsea in 1964 when Colin got a job with Imperial Tobacco. They had two daughters Karen in 1963 and Claire in 1967. Karen married Nick in 1983 and they have two sons Simon and Oliver. Claire married Daniel in 1992 and they have two children Phillippa and William (or as Colin always called them Pipa and Bill). Colin and Elaine loved to travel abroad including trips to America and Kenya. Particular favourites of Colin’s were Tunisia and the Greek Islands. Colin also enjoyed jazz and he and Elaine would go to many concerts and jazz weekends. Always a good sportsman after developing Parkinson’s disease in 1982, Colin still found sports he could participate in such as short mat bowling or table tennis. With his love of sport Colin would have been thrilled to know that his grandson, William has captained his football team for the past 5 years. As all of you here today will know 8 years ago Colin had his accident and has spent the past 7½ years at Clevedon Court Nursing Home. The Nursing Home staff have been totally dedicated in looking after him. Elaine has remained devoted to him throughout this time. We are indebted to Claire Hawker, Elaine Sansom, Dave Sansom and Cynthia Sansom for their help in compiling The Sansom Family page. If you have any further information, memories, photographs etc. about the Sansom family then please get in touch with us.